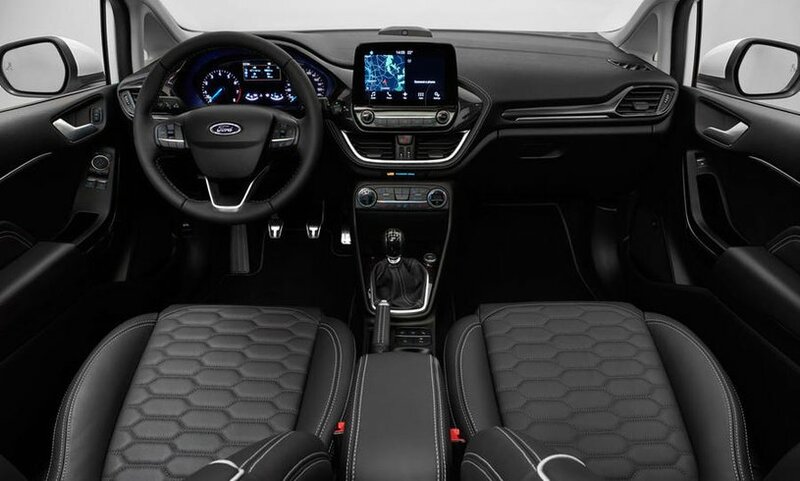 The brand new Ford Fiesta is a stylish, comfortable and compact car that not only has the top modern tech inside, but also that historic Ford quality synonymous with the car company. At Nationwide Cars we have a huge range of new Ford Fiesta cars for you to choose from. This popular car is available in a variety of models including the Zetec, Titanium and Style. These fantastic cars deliver outstanding fuel economy without compromising on power or performance. 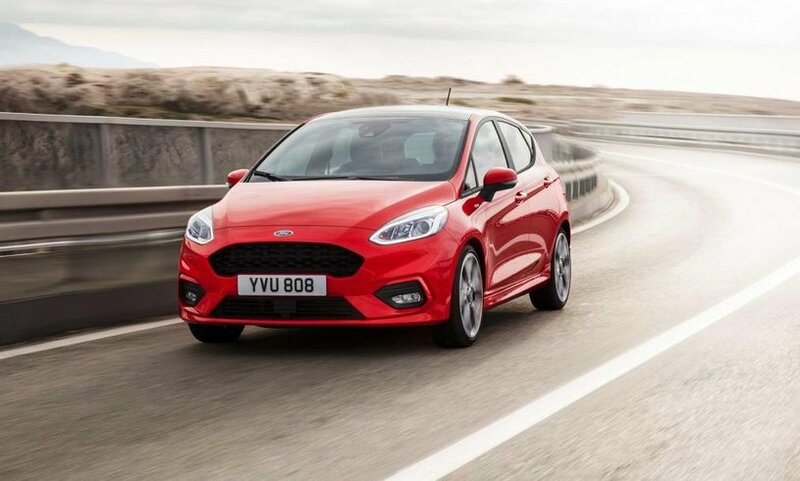 For practicality and durability, our cheap Ford Fiesta models are top choices, especially for families and first time drivers looking for an incredible car at an affordable price. With options to suit a variety of budgets, from lower-end trims to the best Ford has to offer, you’ll find the perfect Ford Fiesta deal at Nationwide Cars. Carry on reading to find out more about this great car in our new Ford Fiesta car review. For those seeking a smaller car for everyday travel the Ford Fiesta may be just what you’re looking for. The three-door version of the car is ideal for first time drivers. It’s not only compact and easy to drive but also stylish, which explains its popularity with young drivers. The five-door version is slightly bigger, this means it loses some of the curvature in the roof above the backseats, ideal for taller passengers you may have travelling in the back. The Ford Fiesta comes in a wide range of different engine sizes, meaning you can always find the perfect size to suit you. The 1.0-litre EcoBoost petrol engine available in either 99 or 123-brake horse power has a fuel-economy figure of 65.7mpg and emits 99g/km of CO2. This gives you the feel of a 1.6 engine but uses 21% less fuel, an ideal choice for anyone who is looking for a fuel-efficient motor. For those looking for a diesel engine, Ford has two offerings on its new Fiesta model. The first in the 1.6 TDCI, this top engine achieves 85mpg and has CO2 emissions of 87g/km. If this isn’t what you’re looking for Ford has another engine on offer, the 1.5 TDCI. This diesel engine has a low fuel consumption level of 76.4mpg and CO2 emission levels at just 98g/km. Fiestas are available for both those looking for an automatic or manual gearbox. The automatic gearbox has six speeds, all of which are preselected for you meaning you don’t lose any power when you change the gear. The manual gearbox comes with 5-speeds, a great alternative for those who do not want an automatic. Every new Ford Fiesta model comes with Auto-Start-Stop to help you use less fuel. The technology automatically switches off your engine once you have stopped dead in heavy traffic. This helps to lower your overall fuel consumption by up to 10%. It does however still keep power in important parts of the car such as the radio and air conditioning to make sure you don’t lose them once you have stopped. The final piece of economical tech in the car we want to mention is the Ford EcoMode. This mode continually assesses the effects of your driving behaviour and then advises on what you can change to be more economical. The car not only analyses speed but also gear shifting, braking, anticipation levels and more. The driving technology available to Fiesta drivers is one of the biggest selling points of the car. There’s a whole host of different technologies available that are bound to quench the thirst of any tech buff. The first noticeable piece of tech we want to touch upon are the rear parking sensors that are sure to take the stress out of parking. Designed to help you park more comfortably these rear sensors are the perfect tool to help you gauge the distance between your vehicle and the space you are reversing into. The closer you get to an object the more frequent the alarm sounds, making parking a hassle free process. Some models even have a rear-parking camera to make the process even easier. Also available on a variety of Ford Fiesta models is the key-free lock system. This system allows you to unlock your doors or boot without actually having to use your key. This can be especially handy when you may have a ton of shopping in your hands. Push to start buttons have been a favourite in cars for many years now. In the new Ford Fiestas you have the ability to start your car with the single touch of a button. Once you get in the car with the key fob in your pocket, the car detects the key and allows you to start it through its start button. Every Fiesta model comes with Electric Power Assisted Steering (EPAS), this steering creates a smoother drive for the user and offers the driver a lot more control when travelling on faster roads such as motorways. Many EPAS run off fuel and are a continuous use of energy, however the Ford Fiesta does not have this issue, instead only activates the EPAS when needed, thus helping improve fuel efficiency even further. The centre console is one of the first things a driver or passenger notices when they get in a car. It’s important that it is both stylish and easy to use; these are two traits the Fiesta boasts proudly. Multifunctional design is at the heart of the consoles and you can see it has been thought about every step of the way. This means every function can be easily activated on the centre console or through the toggles on the steering wheel. The integrated navigation system available on the Ford Fiesta has a 5 inch colour screen that is simple to read and interpret, it even links up with your audio system to deliver directions through your in car speakers. The system works in real time meaning it takes into account the latest traffic conditions to help give you an accurate estimated time of arrival. The Ford Sync is one of our favourite pieces of tech in the new Ford Fiesta. This smart technology allows you to make and receive calls on your mobile, which has been paired with your car via Bluetooth. Once connected simple voice commands can be used to call contacts, control music and more. This system even reads out text messages that have been sent to your mobile, giving you a truly hands free experience whilst driving. It also helps protect a driver if they are ever part of serious accident; it does this by calling the emergency services to your location in the event of such a circumstance. MyKey is a nifty new feature that can give any parents the peace of mind while their kids are on the road. This intelligent programme allows the user to control a whole host of different settings in the car to encourage safer driving. This can be anything from a setting a maximum speed limit to being able to control the volume of music. It is a must have for any new driver learning the rules of the road. There are many other tech features in this model that we have not touched upon but felt need a mention, these include: cruise control, quick clear windscreens, automatic headlights, electric foldable mirrors, home safe headlights and more. The Ford Fiesta has one of the best in car entertainment systems available in hatchbacks on the market, with two different types available. Our favourite is the optional state of the art Sony DAB radio and CD system. This system allows the driver to listen to and enjoy their favourite music whilst driving, displaying all the information needed such as track and artist on a screen above the centre console. It even has a feature that displays the local news to keep you up to date while you travel. This entertainment system pairs perfectly with the Ford SYNC technology mentioned earlier. This means you can skip tracks, choose songs and more, through the use of voice commands. The car even has Bluetooth, meaning you can choose from the media library on your phone, making the days of carrying hundreds of cd’s around in your car a thing of the past. Hill Start Assist is another key feature in the car and is a welcome boost to those who struggle when trying to start a car on a hill. It stops you temporarily rolling backwards when making a hill start, this means you not only get more time but also control when you begin to accelerate from a standing start. If you are ever in the unlikely event of a serious accident you can rest assured you are safe when travelling in a Ford Fiesta. This is due to the number of airbags in the car, which can be found at all angles including both at the front and side of the car. The final safety feature we want to focus on is the Fiesta’s Electronic Stability Control. ESC constantly monitors your driving and notices if you start to veer off to one side or skid. If this happens it automatically corrects your road position aiding you in maintaining the control of your vehicle. Despite the weather outside, you can be sure you’re comfortable and warm when inside the car. Every model comes with fully adjustable front seats for not only the driver but also the passenger too. Some models even have the added extra of heated seats to keep you and your passenger warm on the coldest of winter nights. Each seat inside the car is not only stylish but also comfortable. The steering wheel is made from leather and features white stitching to create a contrasted look; this is the same kind of stitching found on the Fiesta’s gearshift. The white theme continues in the car with white contrast handles inserted on the inside of both the passengers and drivers door. 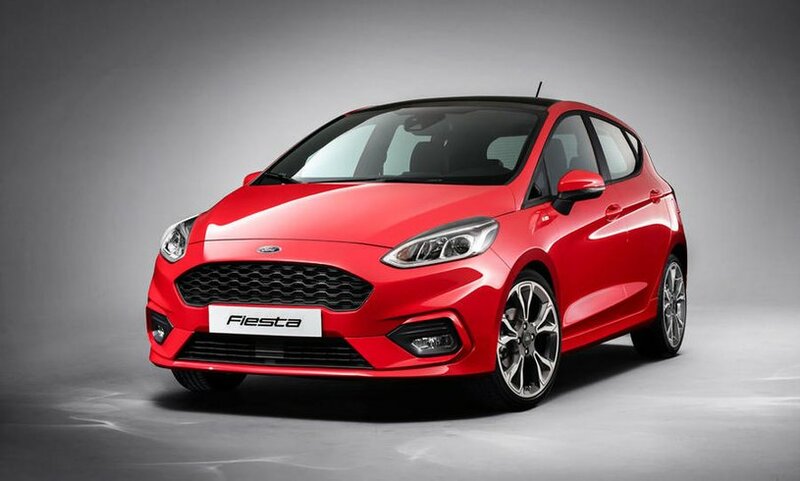 There are over ten different colours to choose from in the Fiesta range including favourites such as: Candy Red, Deep Impact Blue, Frozen White, Race Red and more.